SALT LAKE CITY – It was the most startling quote from Mark Few’s postgame press conference. The Gonzaga coach wasn’t autocorrected in real time. The NCAA’s stenographer didn’t make a typo. 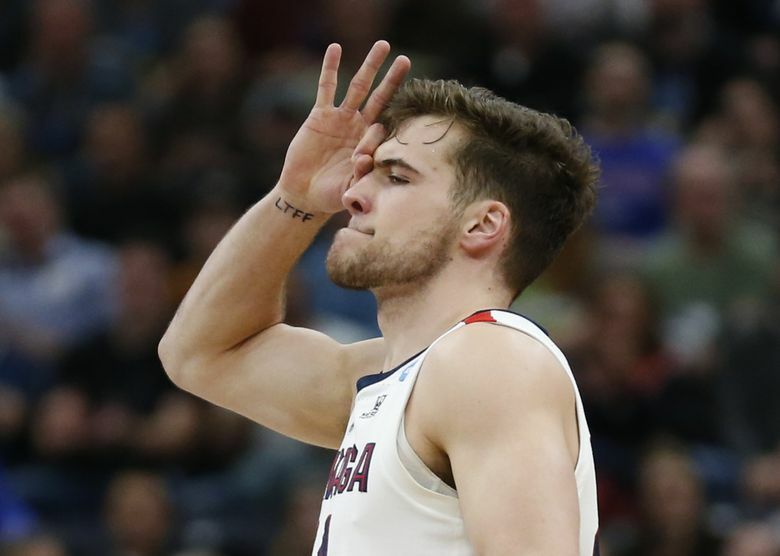 On a night when even Kispert may have refuted the idea that his contributions outweighed those of teammate Brandon Clarke, the longtime GU coach was adamant that his sophomore forward was the Most Valuable Zag against the Bears at Vivint Smart Home Arena. Clarke’s numbers dwarfed Kispert’s – and everyone else on the court – as the San Jose State transfer matched his career high with 36 points, on 15-of-18 shooting and 6 of 8 from the free-throw line. He grabbed eight rebounds and blocked five shots in what was easily Clarke’s most productive game in a Bulldogs uniform. But Kispert keyed this round-of-32 victory every bit as much as Clarke, Few claimed. Kispert’s production was not to be discounted. The second-year wing hadn’t been GU’s second-leading scorer in a game all season, but he stepped up to make six shots total – four from 3-point range – to finish with 16 points. That was second to Clarke’s 36, and it matched the second-best game of the season for Kispert, who scored 17 points in a nonconference blowout of North Dakota State. The 35 minutes were also the second most Kispert played in a game this season, next to his 37 minutes against Tennessee. 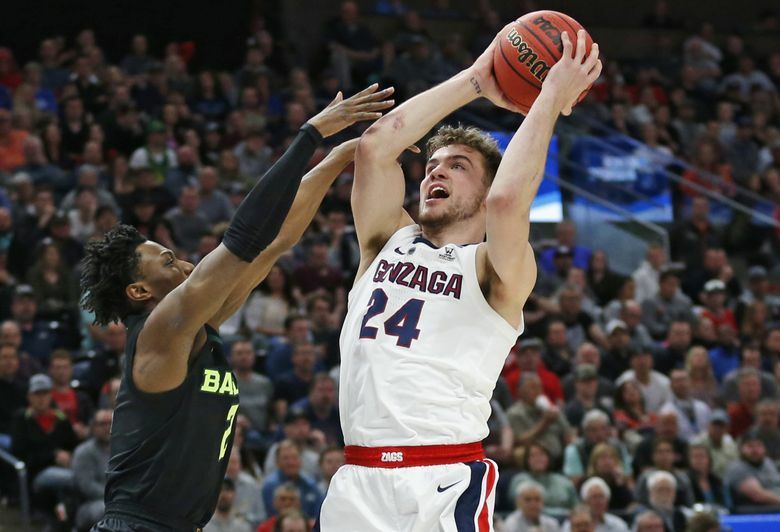 Kispert found pockets of open space when the Zags were running in transition, leading to a number of his uncontested looks. Only two of them didn’t fall through the net. The Zags have pressed Kispert to be more effective on the glass this season. The 6-6 wing answered that call, too, scrapping for seven rebounds against a Baylor team known for its strength and athleticism. Kispert may lament only one sequence from his best game of the season. In the first half, he was called for a technical foul after reacting to a defensive stop. The closest referee blew his whistle after Kispert clapped twice, surprising the sophomore, who couldn’t recall the last time he earned a technical – in college or at the high school level. From Kispert’s vantage point, there was plenty to celebrate. “He’s kind of the ultimate glue guy, probably doesn’t get as much credit as he deserves,” point guard Geno Crandall said of Kispert. “He’s a great shooter, great scorer from all areas, and a heckuva defender. I think he comes in every game and he has to guard sometimes bigger guys, sometimes quicker guys, and just handles it like a businessman.